Hardwood floors bring wonderful health benefits to two kinds of environments – the environment of your home and the environment of the planet. If you haven’t yet decided whether to get a carpet or to opt for hardwood floors installation, consider not just the aesthetics and costs involved but also how your flooring choices might affect your and your family’s health. Wood floors tend to be far easier to keep clean than carpeting; opting for wood might indirectly contribute to keeping the air in your house cleaner. Carpet, meanwhile, often attracts and retains dirt, pet dander and dust, which can cause a stale smell to permeate your house and inflame allergies. Hardwood is a carbon-neutral, renewable resource. In fact, thanks in part to better foresting polices as well as technology to process wood more efficiently, the United States grows more hardwood each year than we harvest! Also, since hardwood flooring lasts so long, it doesn’t need to be replaced as often as other types of flooring. This saves energy and time, and it’s also great for the planet. Finally, after many years of good service, when a hardwood floor has reached the end of its useful lifespan, you can easily recycle the material. When you consider the durability, attractiveness, and health benefits of hardwood, it’s no wonder why many environmental advocates are celebrating the benefits of this kind of flooring. Saratoga Hardwood Floors Installation Experts Can Help Keep Your Home Happy and Healthy! Whether you’re remodeling or building a new kitchen (or entirely new home) from scratch using prefinished hardwood floors, contact our team at Elegant Floors by calling (650) 961-1339 or (408) 773-8624 today. 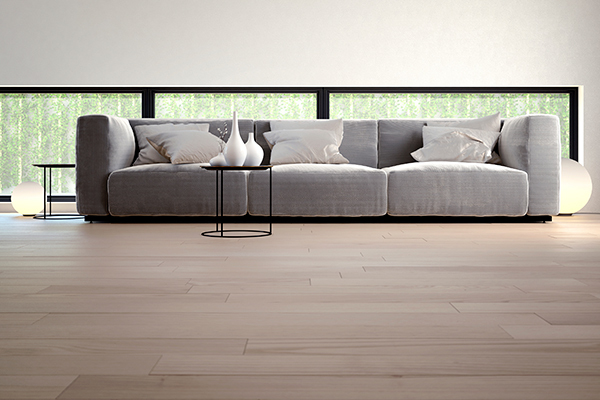 ← Which Direction Should My Hardwood Floors Be Installed?